Finally got myself a Garmin for the dog. Pull has always had a shock collar on before and has had the same one since he was a pup. Just seeing me with that collar in hand gets him all kinds of excited. Yesterday we went out for a walk but this time a whole different collar. I put the DC30 on him and off we went. We were in an open cut bean field with a fence line that we have been seeing birds on, normally he would stay within 50-100yds. (I know that's close...... that is how I trained him to be. Cover around here is typically too thick to find your dog if you cant hear them.) I'm following behind watching him work the fence line and fiddling with my new toy trying to mark where the truck was. I look up no dog! No problem...I'll just look on this here Astro...350yds and still going... I start to laugh then realize there is not a gravel road on the other side of that field it's a busy highway. And he does not have a shock collar on. He ended up turning and coming back to check in after reaching about 425yds. Whew!!!!!!!!! I just wanted to post this for anyone else that may get one in the future. I learned a few things. 1)Dogs aren't stupid he knew that wasn't his "normal " collar and was testing me with it just like my kids. 2)GPS and shock collar next time.. He has gotten use to me using the tone function for commands that he probably had no idea what I was screaming about. 3) I have really put the breaks on this dog I couldn't believe how far out he went and how fast. Anyone else have any Garmin lessons you would like to share? BTW I am gonna love this thing....I have a feeling its going to change how we hunt ..less hacking and more freedom for the dog. Never try to teach a pig to sing. It wastes your time and annoys the pig. Yeah, pay attention when the dog exceeds 700 or so yards, the interface changes to MILES! hehehehe. DO NOT use that POS clear holster LCS sells. Piece of junk doesn't hold the 220 Tight enough not to loose the unit. I speak from experience. I took the lanyard and looped it through my strap vest and put in in my left shell pocket - easy to see when I need to and I don't worry as much about loosing it. The other thing I will tell you - get into a habit of either putting it away in the box or your gear bag - and do it every time so you no where the darn thing is! I got back to the vehicle after dark one night last year and took it off of my vest, put it on the roof, crated the dog, cased the gun and then stowed my vest - then promptly drove off. It was difficult to explain to my wife a few days later at 10:00pm why I had to "run into work for a few hours." When I was packing for a grouse hunting trip on a Thursday night I tore apart everything looking for it - had to drive and hour from home to my goose spot to see if i could find it - there it was, in the ditch right where it slid off the roof when I pulled out of the ditch onto the roadway! Heart attach and scolding from the wife avoided - this time! Two barrels next to each other and two triggers - one behind the other! If your dog is out at .9 miles and goes into heavy cover it will probably loose signal and show the dog at the last known location. Always attach a name plate on the collar or have one on the dog with only your name and phone number. Make sure the collar portion is well charged before every trip. Depending on the cover it may be better to use the order style tracking devices. lost signal and had to be recalabrated more than once during our 4 hr hunts. 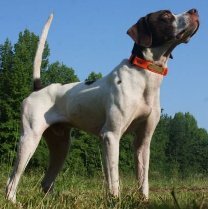 I have never had trouble with my older Dogtra T&B Collars, IMO I want a T&B collar with a reliable GPS system built right into the same collar, as an upgrade, not another GPS collar that does not work correctly all the time. 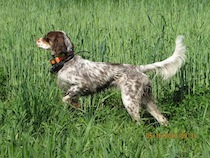 Until Dogtra or DT comes out with such an upgrade in technology I will stick with using my T&B collars. If your t&b unit can be removed from the collar it will slide onto the strap for the new Garmin... same thickness as dogtra collars. The new DC40, it will all fit on one collar if the dogs neck is big enough. If the receiver can't see the satellites it won't work right. Limitation of GPS, not the particular unit. It's not really a reliability issue either. 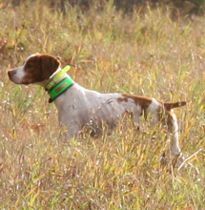 Sportdog is coming out with a GPS/E Collar combo. Location: State?...The one where ruffed grouse were. I would never see the Garmin as a training tool...but I only ran an e-collar once last year near a road. Despite all the increasing bells and whistles, the Astro is at best as a failsafe to find a lost, strayed or injured dog. Occassional signal loss has never been a problem....for any for whom it is, they may be watching the Astro screen more than necessary, as happens with many new toys. I believe some units sold during "X" time may be more prone to signal loss or in need of an update....they have sold a bunch of units and I expect quality control wavers at times. For mine tho...I have never updated the unit....works fine from the thick stuff of the U.P. to the droughted plains of Kansas....to Pa. and the Apps. In the grouse woods, an Astro in conjunction with a point-only beeper allows fine info on where Blackie is. I did find that my beeper magnet did play heck with the Astro compass...I should have picked up on that quicker. Pretty easy to recalibrate should that be a desire. I am using, more and more, the Astro info indicating location versus North rather than the direction indicater arrow. Folks would nitpick a found golden dubloon. It says the collar will hold a charge for 17 -36 hours. If I only used it for two and wait two days to use it again will it be too weak? Should I charge every outing? Just wondering if that will make the battery weak. The collar's charge/use time is dependent on the update frequency that you set on the handheld. I want the most frequent updates to the handheld - and that uses more battery - I think 5 second updates off the top of my head is the fastest update time available. I get about 16 hrs during the Fall and charge it on Friday night, hunt all day Saturday and a half day Sunday without issues. To be safe I really should just charge it each night. 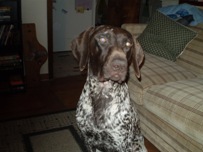 I have had it go dead once in the grouse woods during a multi day hunt, no bell on the dog, and no idea where he was other than way in front of me when the unit lost contact. I do occasionally loose contact with the dog for a minute or less at a time depending on the terrain. I often hunt with my Brother in law who also has one. We both track each other's dogs in our units to we have an idea where we each are hunting relatively to one another and can then tell when we both are heading back to the truck. He may be some distance form me and my dog and will occasionally loose contact - but is regaining quickly. Often, my unit is in a shell pocket and doesn't have the best radio communication with the dog collar that is transmitting the location back to me. If I stop and raise the unit upright to chest level - I regain location of the dog almost immediately. I often use it during the week for a few hours at a time, a few days apart, and don't seem to have any issue with loss of charge between uses. I am not concerned about a battery "memory" and plan to just throw it on the charger each night prior to hunting this year. That right there is the smartest thing a body can do. Along with the microchip. I gotta look into one of them garmin devices, sounds like a good thing. I run both the DC40 and Tritronics on the same collar. My GSP weights 60 pounds. The DC40 unit on the dog collar must have the end with the receiver pointing "UP" for a good satellite signal. 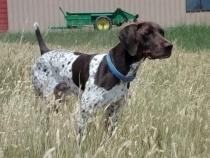 My GSP is running hard at least 400 yards out. In chukar country the steep terrain causes signal lose at times. The communications between you and the dog is through the antennas, not for satellites (line of sight). Garmin says you can not over charge units and the new batteries do not acquire memory. 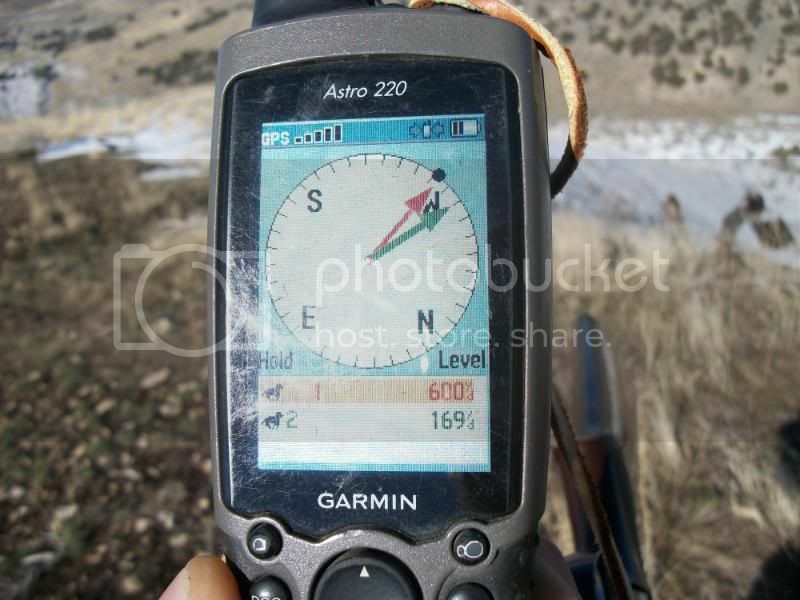 When traveling a good distance it is a good idea to calibrate the compass before starting a new hunt. It is a must when changing the battery. I was one to the first to use the DC40 and had several failures to take a charge. Each and every time Lion Country Supply over night shipped a new unit. All is well more than a year out from my last failure. no doubt about it. Signal loss here in Potter/Tioga is a constant problem when dealing with these units. What is the exact make and model of your unit. Ive never had a problem with my dogs running off, they always know where im at but I use it almost exclusively to find them on point and to track the performance of the dogs . 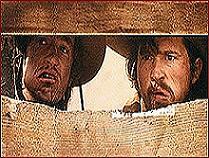 The second kick from a mule is of very little educational value - from Wing and Shot. I have had the Astro since they first came out, David. I did not care for the back-mounted unit. The last two iterations of the collar are fine tho. The last has directly addressed some collar durability issues, etc, etc....which is the way of product development....time and need. I have the newest collar and the one previous....have had no issues with either important enough to note. If you are looking for perfection then do not consider any electronic device. No doubt that steep country with heavy tree cover will cause issues with signal loss, at times. I have had the occassional loss in Kansas short grass and the U.P. alder runs. But, I have never found it to be sufficient a problem that the true value of the Astro was reduced...for me. Just me, but I run an Astro for, as I stated, a failsafe for piece of mind as a first call. 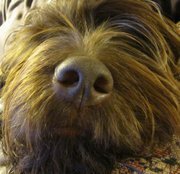 Not about a run-off but a number of occurences can lead to bad issues with dogs...The Astro is a reliable answer, not guarantee, to many of those issues. It does help for wild pheasant where noise is a no-no but with ruffed grouse and dogs...less important, to me other than that pesky piece of mind. In a grouse/woodcock woods, a bell is still my preferred method for following a dog's drift...used in conjunction with an Astro. I have abandoned a point-only beeper as I normally, sometimes , can hear the Astro beep...tho this is a weak point of the unit, IMHO. There may be improvements arriving along the signal loss lines...I do not know what lies ahead but I suspect that there will never be a unit untouched by signal loss under certain conditions. If other outfits begin introducing their own version then I expect that marketing will try to convince a purchaser that they have the problem whipped...maybe, but I doubt it. I'm guessing that you would not be satisfied with the Astro, David, as you will undoubtably experience occassional signal loss. However, one good outcome from a bad dog experience will find the signal issue occurence rated as pretty darn unimportant. Simply put, I bought an Astro for my birddogs....not for my birdhunting. I heard bad things about the astro when I was looking at getting one. But I love mine. I hunt wide open places but will lose signals in deep canyons or over mountains. I just keep on walking to where I last had the dogs and will eventually pick it up again. Plus it will tell me just how far I need to go to find the dog. I always calibrate it everytime out. Don't know if I need to but better safe than sorry. My friend uses a tracker and it will send signals from the wrong direction if your down in a canyon. So there isn't a perfect tracker out there yet. Until then I will keep on using my Astro. Ryman just get a Telemetry unit if you have problems with signal from a garmin. Not as exact but will take you to your dog. Somewhere around 6 or 700 yds. the Garmin starts marking distance in tenths of a mile, don't remember exactly where that happens. .8, .9 . I have seen 1.4. I am glad the dog did not have a find out there, it would have been a long walk. Last fall a friend and I want hunting in ND. Had my girl dog on the ground. Nothing in the field we worked so we started back towards the car. About 100 yards from the car there was a long steep downslope with a big wet cattail slough in the bottom. She started down that slope and was about 200 yds. out. My friend thought we should go get her, she would get lost or push a bird out. I said no, let's just let her work. We had a great view from the hill. She started running the edge of that slough and after about 10 minutes my friend was cold, went back to the car. At 325 she disappeared into the slough and the Garmin said she had stopped. I waited a bit and when she didn't move I thought to myself "You better have a bird, cause that is a long way to walk for a kennel point." So I walked down there and found her standing about 20 yards into the cattails, on point, pretty as you please. At least ten minutes had passed since she established point, so I half expected it would be nonproductive (bird left), but she was very rock solid, her point said it was still there. Anyway, a big rooster came out, I shot it and she brought it back. Kinda fun. Long walk back to the car. Doesn't seem so long when you have another one in the bag. I really like the Garmins. Some of the places I hunt the dog gets lost 10 feet away, but with the Garmin you know it is still there, standing. Lesson. During a field trial brace of your dog, your Astro has to be off, unless the dog is out of contention. However, during that brace your collar is on, and storing waypoints, based upon your settings (ours is set for every 5 seconds). What it doesn't seem most people do (maybe just me), is download the tracks from the collar. You will need a memory card in the ASTRO to do this (transflash 2gb is fine). It is easy to do, go to the dog screen, then hit the enter button for the dog detail, then menu settings, and "transfer dog unit track"
The Astro and the Collar have to be on, and close to one another. Go into the MapSource software to download tracks. go to the Transfer menu, and receive from Device. It may take a couple tries, but this will download the detail of the run of your dog. Another option that the MapSource software allows is "View - view in Google Earth" you have to have Google Earth installed. It allows you to overlay a satellite image of the grounds you were on, with the waypoints from the collar. It allows me to generate images like this. Each time you power cycle your collar, it creates a new run, or group of waypoints each time. We cannot afford 2 collars, but want to delinate each dog's run, so we power cycle the collar. I find the information I get from this invaluable to determine if I REALLY knew where the dog was the entire time he was handled/scouted. Very cool, thanks! Interesting the run the dog made pretty straight lines or was that just the areas you were walking with the dog? I didn't know it tracked while the receiver is off. I will be using that feature. Not only calibrate the compass, but erase the old tracks before each run. It will prompt you "start a new hunt", then "mark location as truck", tell it yes both times. The Garmin only has 3 digits on the distance display, at 999 yards it switches to .568 mile (actually I thought it was .666, but my HP says .568, maybe I used the wrong inputs). If you are losing signals get a long range antenna (they sell two types, car top and handheld, both work well). The handheld and the collar communicate with radio signals, same as telemetry. Those that say telemetry is better and has longer range, just have a longer antenna. I always follow rules, but if you want to leave your Garmin on in a field trial you can mute all audio and just give it to the judge in a closed case. It is a stupid rule made by people that did not bother to learn the technology. Great stuff, thanks for the Garmin lessons and maybe some day I will invest in one. I fully realize all electronic equipment is not full proof. My Dogtra and DT T&B Collars are very reliable and I hope some day the Garmin GPS will be their equal, when they are I will probably own one. twofeathers wrote: Very cool, thanks! Interesting the run the dog made pretty straight lines or was that just the areas you were walking with the dog? Those grounds are Clear Spring, MD. It was our (mine, Shnool's and the dog's) first time on those grounds. The dog was running in a horseback gundog stake....probably should have been in the AA stake that day, but did a really nice job on the ground. Yes, you'll see that the dog ran the course wide, we were horseback and roughly on the horse path (except during finds). I have some more impressive tracks than that (some not so much - heheh). Keep in mind the dog is moving, and the collar is polling. The software smooths the track as straight lines between 5 second locations. It tends to look smoother than it probably is, in the case above it is pretty much that smooth/straight as it was real time. Also yes the collar does poll, and I thought I'd post this, because there was some question at our last trial as to weather the collar did this. I was told it wasn't possible (bad idea telling me a piece of technology doesn't exist, or a way to get to it, I will either find a way, or make it work). If you follow the instructions above, I hope that more people get use of it. I suspect that knowing the collar polls as easily as the handheld, isn't as helpful for hunters (as they likely have the Astro turned on), but for trialers I could see where it would be very useful, to learn from each brace run. Off topic - but should be said... the Astro and the collar, are some really incredible devices, and the time taken to design them had to be intense! Thank you Garmin for building this (and the guys who work[ed] with them to refine it)! It is a very useful tool. It was my Senior Project in college to find and improve the technology in GPS for civilian purposes, if only I was field trialing then! Don't we all have moments like that though? Just a reminder that up grades can be downloaded on line directly to your unit. That is what fixed my signal lose issues. This thread needs to be moved to the HOF. I just got my Garmin with two DC 40s. I haven't played with it much yet but it is very cool. I think it would be cool to show eachother maps of runs like the one above. Or would that turn into something bad? Anyway very cool function what all do I need to buy to do that? Memory card, map pack? Just a memory card.....the garmin comes with everything else you need. You can download google maps for free. Important lesson I learned...make sure to set up the unique frequency for your dog collar, and the security features that do not allow others to track your dog with their GPS. I figured I was only running one dog..why bother...I don't field trial...why bother? Well I am on vacation in Downeast Maine...about 15 miles down a logging road....dog is in the thick stuff...momentarily lose signal...as I walk closer to where the dog last moved.....one two then three dogs pop up on my screen....a fellow from South Carolina had driven up his field trial dogs, and didn't put the security lock on his frequency either...so there he was trying to figure out where the extra dogs came from...and I am trying to figure our where my dog is. This is an area where I have never bumped into another hunter. ...fortunately we found all of our dogs. those dogs must not be gentlemen gun dogs that hunted for the handler? DOGS COULDNT LIVE WITHOUT EM!! I've been using the Garmin tracker for a couple of years, starting with the DC-30s and now also have a pair of DC-40 collars. They've been great for keeping track of my two Llewellin setters. Now my dogs put a LOT of wear and tear on their gear. I take them hiking-"hunting" 2 or 3 hours or more a day, and they crash through the woods and brush, swim in creeks and lakes and so forth. They also wear their Garmins always when outside, even when just playing in the woods near the house (we have no fence... yes they stay around, as they are so well satisfied.) They will get involved in digging up chipmunks and have their heads down a hole they are digging and get the collars mixed up with roots and brush. They also play with each other quite vigorously, while wearing their collars outdoors, crashing, smashing, rolling, etc, as young dogs will do! The problem I've had as a result of all this abuse is the antennas breaking internally. This results in a loss of signal strength and the range goes down. I've cut open the antennas and been able to find the breaks, which always seems to occur at the base of the antenna, just where it comes out from the gps plastic housing. It is at this location where the straight part of the wire transitions to a coiled part, the "whip antenna." I've gone through a lot of antennas, about a dozen in 2 years. Has anyone else identified this problem besides me? Maybe my use pattern is an outlier... basically 2 to 6 hours a day 8 months a year on two young, active dogs. Maybe others use less, and that's why I cannot find much info out there on people running into this same problem? Or perhaps some of the folks out there complaining of loss of range, don't realize its the antenna that is broken inside? I have worked up a home-made fix that does not require soldering, just some spare speaker wire and some electrical tape. I'm currently "field testing" a couple of antennas that I have repaired this way. Time will tell. Anyone interested I wrote up some directions w/ pics. BTW, recently Garmin provided me with two "newer" versions of the antenna, supposedly more rugged than the original, but they only lasted me a few weeks before they too, broke inside. Has anyone else been sent the "newer" antennas through Garmin or your supply company? I thought it was very kind of them to do so, although the problem does not yet appear to be solved. Oh, one more comment. As others have observed, the DC-30's definitely do better in terms of gps signal retention, with the gps receiver up on the top of the neck. With the DC-40s, the gps receiver is under the dog's neck, so already easily blocked from the sky, so sometimes any additional barrier like thick brush or a tree, will finish off the signal Also, if the dog goes swimming the signal is lost, as it does not transmit under water. Another advantage with the 30s is the ruggedness of the nylon collar offers considerable protection for the antenna. But I really like the DC-40s in terms of a better connection for charging, that is not as vulnerable to build up of dirt at the contact area. Also, I like the ability to color code the collar straps with the DC-40s, as well as the overall lighter, smaller unit. One of my dogs is just 32 pounds. She's a rocket, but definitely looks better with the smaller/lighter 40 on her neck. ultracarry wrote: If your dog is out at .9 miles and goes into heavy cover it will probably loose signal and show the dog at the last known location. Great thread. I have a 320/DC40 on order. Question, is there an audible "beep" function when the dog goes on point? I understand that the icon on the screen changes but is there an alarm sound also? I am hoping to avoid using a locator beeper with the Garmin now? terrym wrote: Great thread. I have a 320/DC40 on order. Question, is there an audible "beep" function when the dog goes on point? I understand that the icon on the screen changes but is there an alarm sound also? I am hoping to avoid using a locator beeper with the Garmin now? Yes, there is a beep. Also a vibrate. Thought I'd update my original post... we now own a Garmin Astro 320. The new device is "friendlier" to get the "Dog Unit Track." I don't think it requires a memory card, but I cannot be sure. 3. From the Main menu, press DOG, and then DOG again. 4. Select the dog you want to download the dog collar tracks for. Oh same grounds as last time. We had some serious competition... But here's the run from this past weekend.